Rob spent a rewarding day with young people from four local schools at an event held at Emmanuel College in Gateshead last week. 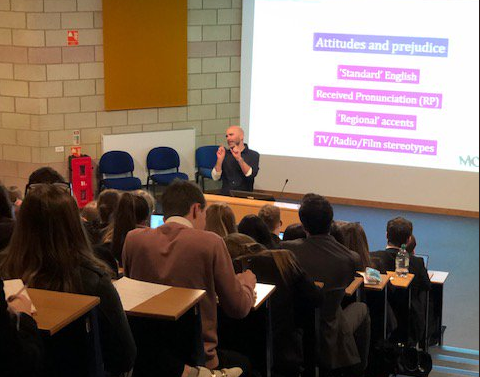 He spoke to year 12 and 13 students taking English Language A Level about his work with accents, identity, linguistic prejudice, and Multicultural Urban British English. Next Story 'Collaboration, creativity and complexities' conference - abstract submission is now open!